Within the MED-DESIRE project, the Lebanese Center for Energy Conservation (LCEC) has collaborated with the Donner Sang Compter in a blood drive that will take place on November 4, 2015 from 9:00 am to 3:00 pm at the University of Saint Joseph in Beirut, Lebanon. 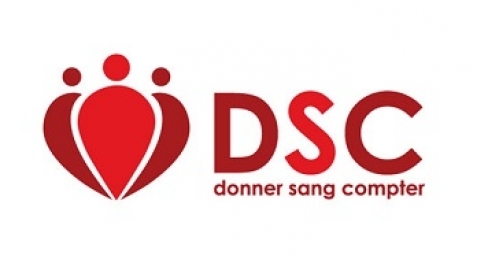 Donner Sang Compter (DSC) is a non-governmental organization that works for a humanitarian cause. They provide blood to patients in need through a centralized database of potential blood donors and by regularly organizing blood drive campaigns to collect blood units and to raise awareness about the importance of voluntary blood donations. By participating to this blood drive, LCEC tends to link environmental and energy issues with this humanitarian cause in order to reach a wider range of people. The event will include several games and activities to which the blood donors will participate in order to win solar lanterns. The importance of this event is to educate people about the small gestures that could result in big changes. Just as donating blood, could save someone’s life, being energy efficient and taking conservatory approaches in our daily life could enhance the environmental conditions of the country and contribute to saving the planet. The LCEC team will be present at the Donner Sang Compter booth and will be giving out MED-DESIRE’s awareness raising brochures and further explain to people about the significance of renewable energy and energy efficiency to have a cleaner and greener environment.